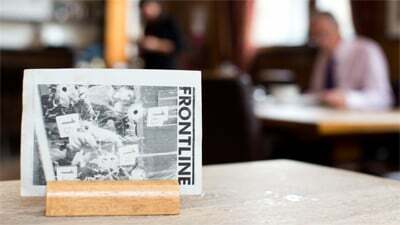 WikiLeaks press conference at the Frontline Club on Thursday 5 July, 2012. "Thursday 5 July 2012, WikiLeaks began publishing the Syria Files – more than two million emails from Syrian political figures, ministries and associated companies, dating from August 2006 to March 2012. This extraordinary data set derives from 680 Syria-related entities or domain names, including those of the Ministries of Presidential Affairs, Foreign Affairs, Finance, Information, Transport and Culture. At this time Syria is undergoing a violent internal conflict that has killed between 6,000 and 15,000 people in the last 18 months. 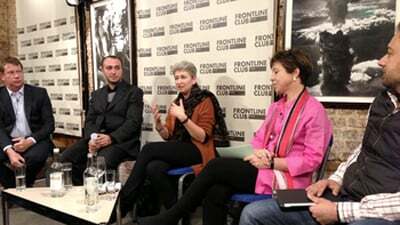 The Syria Files shine a light on the inner workings of the Syrian government and economy, but they also reveal how the West and Western companies say one thing and do another."